Jon Stewart will spend his final week as "Daily Show" host with fellow comedians. Amy Schumer, Denis Leary, and Louis C.K. will be Stewart's final guests, the host announced on Thursday night's "Daily Show." Schumer will be on Monday, Leary on Tuesday, and Louis C.K. on Wednesday, according to Comedy Central's website. "Remember, next week is our last week," Stewart said to close Thursday's show. "I can't wait to show my appreciation at all the support and enthusiasm that you guys have given this show all these years, so thank you all so much. Next week, tune in, it's going to be a ball." Related: Will Jon Stewart's biggest guests return for his final week? 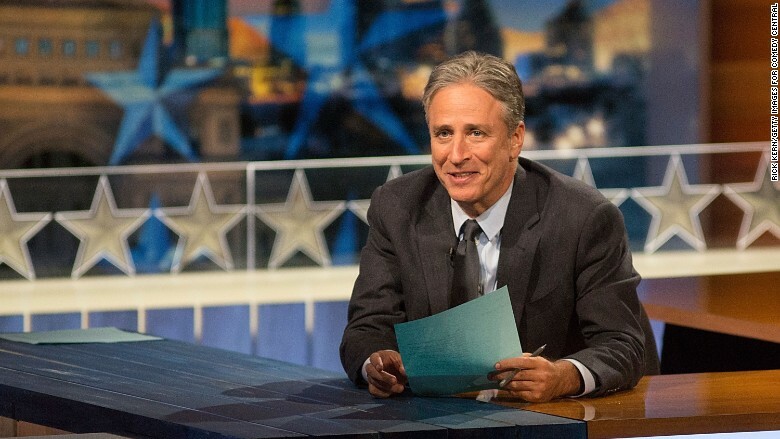 Stewart's final show will also run longer than usual at 52 minutes and Comedy Central will have a "Daily Show" marathon leading up to his final sign off on August 6, according to the network's website schedule. The re-aired episodes shown in the marathon will include past guests like Steve Carell, Malala Yousafzai, Bill O'Reilly, Donald Rumsfeld, and Jim Cramer. While Schumer, Leary, and Louis C.K. represent announced interviews, there could also be other notable appearances from some of Stewart's biggest guests over his 16-year run. As for Stewart's final show, there isn't much known other than it's bound to be a TV event very much in the same vein of David Letterman and Stephen Colbert's big goodbyes.